Best chance of the day - "Art Mauresque each way. 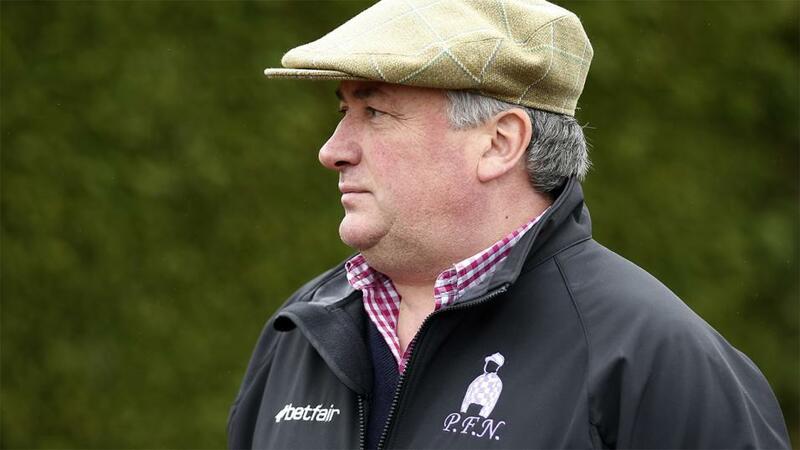 In form and has plenty going for him in the Topham if the ground continues to dry up." Ran really well last time at Kempton despite getting a fair way behind the pack early on. He then stayed on strongly into second place which was highly encouraging as he didn't really enjoy the testing conditions there. I can see Zubayr going tidily in this if the going continues to dry up. He is suited by a fast pace, this trip looks perfect and he will have a nice light weight on his back with my talented amateur Lorcan Williams claiming a valuable seven pounds. Has been a superstar for us this season, winning eight times over fences, starting at Fontwell in June, but he come up a little short in the RSA Chase at Cheltenham where he was a bit too keen. If we had ridden Black Corton more patiently he might have been third but by trying to win it he ended up back in fifth place. While he still looks fantastic and gives every sign of remaining in good form at home I do worry that he has been on the go for such a long time. Who knows whether he is over the top or not after such a busy season? It's impossible for me to tell because he always seems fresh in the morning. Everything looks in place for a big run by Politologue who we are fitting with tongue tie for the first time. The flat track, softish ground and return to two and a half miles should all help to bring out the best in him and to keep him chilled we are putting a hood back on that he wore three times last season. I'm now thinking that two miles is a bit too sharp for him these days. It certainly looked that way at Cheltenham in the Queen Mother Champion Chase and he has smart winning form over two and a half miles. Politologue would have also won a Grade 1 Chase won at this meeting a year ago but for stumbling and coming down in front after winging the last fence, so there are plenty of positives for him going into this. Has been threatening all season to win a top handicap chase and duly delivered in style in the Grand Annual on the final day of the Cheltenham Festival. Le Prezien jumped well that day and came home strongly so I can't complain that he has been raised seven pounds by the handicapper. So it was a question of his carrying top weight in yesterday's Red Rum Chase or raising our sights with him in this Grade 1 race over another half mile. While he has something to find against the market leaders he has earned his chance at the top level. Ran quite well in this race a year ago and has strengthened up this season. He was so unlucky to be brought down at the second fence in the Grand Annual at Cheltenham last month. I was expecting a decent show from Bouvreuil that day and am hoping he can gain some some compensation here. Has been running really well and was at the top of his game when second to the crack Northern chaser Waiting Patiently at Kempton in January despite jumping left handed at times. He then didn't quite get home ridden prominently when we stepped him up to three miles next time at Kempton. He might have been in front a bit too soon at the third last before keeping on to finish fourth. This race over two miles, five furlongs looks ideal for Art Mauresque who is in form, jumps well and is probably better going left handed. Arrived from Ireland with a big reputation and won in the style of a smart horse on his debut for us in a bumper at Kempton seven weeks ago. I think the world of Danny Kirwan and felt he wasn't ready for the hurly burly of the Cheltenham bumper at this early stage of his career. This horse is all about the future so I haven't done too much with him since Kempton, although he does look a little bit light to my eye but maybe that's just him. Hopefully he will run very well but win, lose or draw we know he is an exciting horse who will be going hurdling next season and is a name to remember. Betfair's Barry Orr joined pundit Gary O'Brien to preview the Grand National from the Aintree course. Check out our video.